What is the DYRT Team? 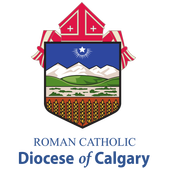 The Diocesan Youth Retreat Team or DYRT is a group of young adults working under the Office of Pastoral Ministry and the Bishop of the Diocese of Calgary. We facilitate retreats for youth in our Diocese. In the months of May and June we offer End of Year Retreats for students in grades and 9. ​The team can also work together with you to plan and facilitate retreats on specific topics upon request. We travel throughout the Diocese of Calgary. (Our boundaries are: North- Carstairs, South- US border, East- Saskatchewan boarder and West- British Columbia border). ​​It was in the fall of 2014 when I heard an important announcement at the end of Sunday Mass. A member of DYRT was speaking about an opportunity to work for the Diocese in a position where we could help share our faith with younger people. I was attending University, didn’t have a job and wanted to dive deeper into my faith. I had been attending Mass on Sundays, and knew what the Church expected of me, but I wanted to meet other people my age who were also excited about knowing Jesus. So I decided to take a chance and apply. It was one of the best decisions I ever made. Working for DYRT meant working with 15-20 other people who shared my faith. It meant meeting lots of young people throughout the Diocese of Calgary and being able to teach them about the sacraments. It allowed me to learn more about my faith and strengthen it. Most importantly it allowed me to partake in work for the Church, following our Lord’s teaching to go and spread the Gospel. ​If you want meet great new people, teach about the faith, and make some money while you are going to school I would apply for DYRT!